Dean Devlin's gripping thriller Bad Samaritan will be released on DVD in the UK on Monday 8th October by Signature Entertainment. The film stars David Tennant at his most sinister as malevolent serial killer Cale Erendreich, who is set to destroy the life of parking valet and would-be thief Sean Falco, played by Robert Sheehan. Bad Samaritan was written by Brandon Boyce and directed by Dean Devlin who also produced for his ow company Electric Entertainment. The film was released in the USA and Canada on May 4th and will have its UK premiere on August 23rd at the FrightFest Film Festival in London. Kerry Condon. Jacqueline Byers and Carlito Olivero also star. A pair of parking valets, played by Robert Sheehan and Carlito Olivero, are running a novel scam, using the satnavs on their customers' cars to locate their homes so they can rob them while they are dining. 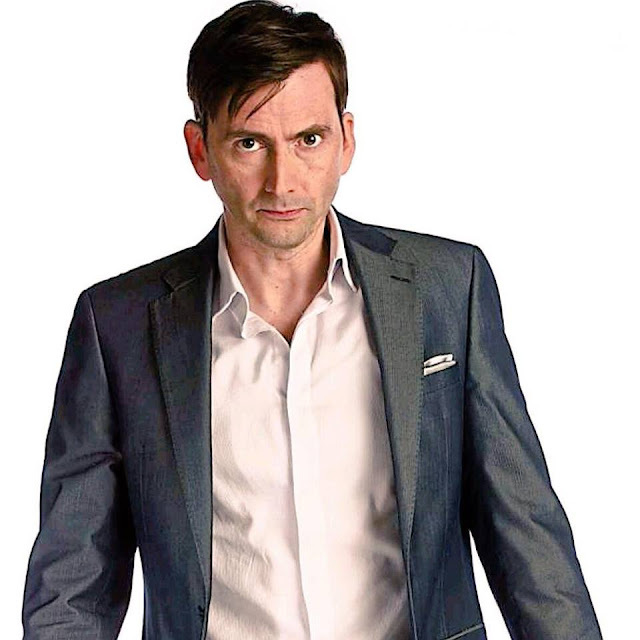 But they find themselves in a world of horror when they target one classy residence where they find that the owner (David Tennant) has a girl chained and gagged in his office. Reporting the matter to the police only focuses the psychopath's attentions on them and a tense cat and mouse game commences as he seeks to ensure their silence.